In his biography Memories, Dreams, Reflections Carl Jung, the Swiss Psychiatrist wrote about his own premature encounter with death. Here is that account. It seemed to me that I was high up in space. Far below I saw the globe of the earth, bathed in a gloriously blue light. I saw the deep blue sea and the continents. Far below my feet lay Ceylon, and in the distance ahead of me the subcontinent of India. My field of vision did not include the whole earth, but its global shape was plainly distinguishable and its outlines shone with a silvery gleam through that wonderful blue light. In many places the globe seemed colored, or spotted dark green like oxidized silver. Far away to the left lay a broad expanse – the reddish-yellow desert of Arabia; it was as though the silver of the earth had there assumed a reddish-gold hue. Then came the Red Sea, and far, far back – as if in the upper left of a map – I could just make out a bit of the Mediterranean. My gaze was directed chiefly toward that. Everything else appeared indistinct. I could also see the snow-covered Himalayas, but in that direction it was foggy or cloudy. I did not look to the right at all. I knew that I was on the point of departing from the earth. Later I discovered how high in space one would have to be to have so extensive a view – approximately a thousand miles! The sight of the earth from this height was the most glorious thing I had ever seen. After contemplating it for a while, I turned around. I had been standing with my back to the Indian Ocean, as it were, and my face to the north. Then it seemed to me that I made a turn to the south. Something new entered my field of vision. A short distance away I saw in space a tremendous dark block of stone, like a meteorite. It was about the size of my house, or even bigger. It was floating in space, and I myself was floating in space. I had seen similar stones on the coast of the Gulf of Bengal. They were blocks of tawny granite, and some of them had been hollowed out into temples. My stone was one such gigantic dark block. An entrance led into a small antechamber. To the right of the entrance, a black Hindu sat silently in lotus posture upon a stone bench. He wore a white gown, and I knew that he expected me. Two steps led up to this antechamber, and inside, on the left, was the gate to the temple. Innumerable tiny niches, each with a saucer-like concavity filled with coconut oil and small burning wicks, surrounded the door with a wreath of bright flames. I had once actually seen this when I visited the Temple of the Holy Toot at Kandy in Ceylon; the gate had been framed by several rows of burning oil lamps of this sort. As I approached the steps leading up to the entrance into the rock, a strange thing happened: I had the feeling that everything was being sloughed away; everything I aimed at or wished for or thought, the whole phantasmagoria of earthly existence, fell away or was stripped from me – an extremely painful process. Nevertheless something remained; it was as if I now carried along with me everything I had ever experience or done, everything that had happened around me. I might also say: it was with me, and I was it. I consisted of all that, so to speak. I consisted of my own history and I felt with great certainty: this is what I am. I am this bundle of what has been and what has been accomplished. This experience gave me a feeling of extreme poverty, but at the same time of great fullness. There was no longer anything I wanted or desired. I existed in an objective form; I was what I had been and lived. At first the sense of annihilation predominated, of having been stripped or pillaged; but suddenly that became of no consequence. Everything seemed to be past; what remained was a ‘fait accompli’, without any reference back to what had been. There was no longer any regret that something had dropped away or been taken away. On the contrary: I had everything that I was, and that was everything. Something else engaged my attention: as I approached the temple I had the certainty that I was about to enter an illuminated room and would meet there all those people to whom I belong in reality. There I would at last understand – this too was a certainty – what historical nexus I or my life fitted into. I would know what had been before me, why I had come into being, and where my life was flowing. My life as I lived it had often seemed to me like a story that has no beginning and end. I had the feeling that I was a historical fragment, an excerpt for which the preceding and succeeding text was missing. My life seemed to have been snipped out of a long chain of events, and many questions had remained unanswered. Why had it taken this course? Why had I brought these particular assumptions with me? What had I made of them? What will follow? I felt sure that I would receive an answer to all the questions as soon as I entered the rock temple. There I would meet the people who knew the answer to my question about what had been before and what would come after. While I was thinking over these matters, something happened that caught my attention. From below, from the direction of Europe, an image floated up. It was my doctor, or rather, his likeness – framed by a golden chain or a golden laurel wreath. I knew at once: ‘Aha, this is my doctor, of course, the one who has been treating me. But now he is coming in his primal form. In life he was an avatar of the temporal embodiment of the primal form, which has existed from the beginning. Now he is appearing in that primal form. Presumably I too was in my primal form, though this was something I did not observe but simply took for granted. As he stood before me, a mute exchange of thought took place between us. The doctor had been delegated by the earth to deliver a message to me, to tell me that there was a protest against my going away. I had no right to leave the earth and must return. The moment I heard that, the vision ceased. I was profoundly disappointed, for now it all seemed to have been for nothing. The painful process of defoliation had been in vain, and I was not to be allowed to enter the temple, to join the people in whose company I belonged. In reality, a good three weeks were still to pass before I could truly make up my mind to live again. I could not eat because all food repelled me. The view of city and mountains from my sickbed seemed to me like a painted curtain with black holes in it, or a tattered sheet of newspaper full of photographs that meant nothing. Disappointed, I thought, ‘Now I must return to the ‘box system’ again.’ For it seemed to me as if behind the horizon of the cosmos a three-dimensional world had been artificially built up, in which each person sat by himself in a little box. And now I should have to convince myself all over again that this was important! Life and the whole world struck me as a prison, and it bothered me beyond measure that I should again be finding all that quite in order. I had be en so glad to shed it all, and now it had come about that I – along with everyone else – would again be hung up in a box by a thread. I felt violent resistance to my doctor because he had brought me back to life. At the same time, I was worried about him. ‘His life is in danger, for heaven’s sake! He has appeared to me in his primal form! When anybody attains this form it means he is going to die, for already he belongs to the ‘greater company.’ Suddenly the terrifying thought came to me that the doctor would have to die in my stead. I tried my best to talk to him about it, but he did not understand me. Then I became angry with him. In actual fact I was his last patient. On April 4, 1944 – I still remember the exact date I was allowed to sit up on the edge of my bed for the first time since the beginning of my illness, and on this same day the doctor took to his bed and did not leave it again. I heard that he was having intermittent attacks of fever. Soon afterward he died of septicemia. He was a good doctor; there was something of the genius about him. Otherwise he would not have appeared to me as an avatar of the temporal embodiment of the primal form. Wow what a word “box system” the exact meaning that sounds correct. I understand and believe we are all here for learning and it is not easy at times, I can also agree with the phrase of being trapped to a degree. I believe it is the man made way we are shown as we grow and are taught. It is strange that some only get snippets of spiritual information which can have many meanings and often can confuse us with the many answers we can develop. We have so far to go to understand the afterlife and for many of us, including myself, we never stop learning or being shown the way. It is the chosen ones who are able to communicate to us of their own experiences that give us the rare glimpse to the possible path we all have the chance to individually experience when called. My entrapment is being at the stage to sense and converse with spirit but not get the complete picture, it is always at this time part of a puzzle, of which most can be solved but in a very round about way. Bless. Fascinating! 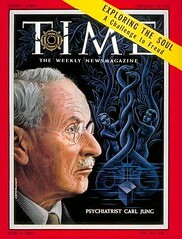 Carl Jung was the first therapist who brought the spirit into psychology. A true, heart-centered pioneer. Thanks, Rosemary. As I see it, this experience of Jung is that of his soul (which I term “moul” = mind + soul) which, like the mind, is the sum total of all the spirit entity’s experiences over many lifetimes. One of the major contributions to science that the Spindrift Research hopes to make involves the mind’s Defense Mechanisms. In the context of extreme spiritual healings and psychic experiences, the Defense Mechanisms jump in and edit out important details, so a human being living in matter doesn’t get too carried away with what he/she just experienced. The sometimes deceiving effect of Defense Mechanisms on us human beings helps to explain how scientific evidence of the paranormal often evaporates before our eyes. We know what we experienced, but we are left with only a taste in our mouth of what we experienced. It seem so unfair because that is all we can share. Near Death Experiences have become a difficulty for the Defense Mechanisms. Spindrift presumes that Defense Mechanisms let all the fluids flow when it comes to an end of life experience. Why? Because the Defense Mechanisms “believe” that when a person is at his end and is about to go, “Who is she or he going to tell what is being seen?” No one. He/she is leaving this earth sphere, so let them start seeing “the show of truth” outside the box of earthly matter limitations. The joke is on the Defense Mechanisms. These defenses never believed the person would return to tell his or her story from an NDE experience. The Defense Mechanisms were tricked, and to all of our benefit. Mere mortals get a glimpse of the continuation of reality beyond the five senses because the Defense Mechanisms messes up! Mary Baker Eddy who founded Christian Science writes extensively about this expansive state of being coming into view when the five matter senses are silenced. Are you the “Jeremy Griffith” behind the site you’ve cited? If you are please tell us more. Jung’s account is way beyond ordinary imagination in my opinion. He’s touched upon what many of us already know: everything is much more than our mundane senses and scientific measure. We’re only aware of a very miniscule part of ourselves in everyday experience. Behind the life stage there’s infinite workings. But just how infinite (or should that read finite) are we? I am totally fascinated my dimensions and time and am quite keen on the idea that we split each time we make a major decision. The old person continues on the one path and the newly decided person begins a new journey. Hi Rosemary, I think beyond our everyday finite awareness of ourselves and things in general, there’s an infinite of happenings that we are simultaneously not privy too and fully aware off on other levels. Paradoxical but true from my perspective. Surely we must shut out so much of what is happening around us Allan, both seen and unseen. Our senses are already overloaded and I suggest we would probably go mad if we didnt have this ability to filter out such stimulation. The question is, of course, why and how do we blok out the other dimensions? There must be a valid reason for this (evolutionary?). I just dont know what it is. Yeah, sure we must filter out our internal and external environments to make sense of the world around us and within in us. Evolutionary survival value (avoiding overload) as we play out being so called bio machines on Earth. However, I believe we and everything else is so much more in the bigger scheme of things. (infinite) To some extent there’s a mechanism (higher self’s) within us all that that knows and can tap into more complex structures. Probably for good reason as I attempt to try explain the beyond, I can’t without turning my thoughts into a word salad. I think youve touched on the limitations of words; to name something is to separate it from what it is. And I guess, the more we name things the more their essence becomes removed from us. PS Is there a philosopher in the house? On the blog? If there is, please raise your hand now! I can relate to that 100%. This ties up with so many other accounts of NDE that I have read. Surely not a figment of his imagination. Many thanks for bringing this to our attention. I like his notion of the ‘box system’. Sort of explains a lot that I was feeling. I think this is an interesting post. Glad you think so too. I totally relate to the box system idea – or my interpretation of what Jung was saying. I feel the heaviness of the earthly energy; the lack of refinement; the coarseness of it all and it ways me down. I’m not sure I feel imprisoned as Jung did but I certainly feel hemmed in here. I was born with a dread of being trapped – like being claustrophobic – but different. This earthly gig is a tough one for me. Anyone else know what Im saying? Previous: Really Dead or Nearly Dead?